Although best known for creating the spirited Anne Shirley, L. M. Montgomery had a thriving writing career that included several novels and more than 500 poems and stories. This collection brings together rare pieces originally published between 1900 and 1939 that haven’t been in print since their initial periodicals. 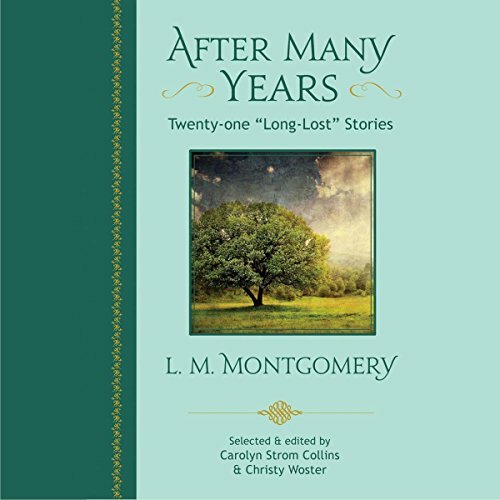 Collins and Woster have carefully curated a mixture of newly discovered stories that showcase all the charm you expect from Montgomery. With scholarly prefaces and notes for each piece, the book offers listeners a rare glimpse into how Montgomery’s writing developed over the years. Would you consider the audio edition of After Many Years to be better than the print version? I would consider it a very close second if not equal to the print version. Its very hard to choose only one favorite. Hilary is one that come to mind. She is so quaint and sweet. What does Elva Mai Hoover bring to the story that you wouldn’t experience if you just read the book? Her voice really brings out the characters and makes them come alive. If you could rename After Many Years, what would you call it? The title is perfect as it is I think. I was so excited to find more of Montgomery's stories have been published. I have been a life long collector of her works.